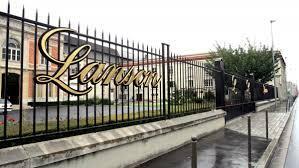 The House of Lanson has always blended its champagnes using a majority of Pinot Noir and Chardonnay in order to achieve the perfect balance of power and finesse. Our supply from over 500 hectares of vines in the wine-growing region of Champagne offers a wealth of choice and enables Lanson to select the best grapes from the best plots. The freshness and energy that are key to the Lanson style are closely linked to the House's historic commitment to using a traditional wine-making method, without malolactic fermentation. Lanson emphasises the fruit and the richness of aromas in a search for purity in its wines. The palette of flavors, and the talent of Winemaker Hervé Dantan, come together to create the perfect balance of fruitiness, elegance and freshness. The richness of the grape varieties and Crus is complemented by the richness of different years. Adding reserve wines helps to amplify the quality of young wines. Non-vintage cuvées are therefore composed of reserve wines and more than 10 different years of harvests, and are left to age in the Cellar for at least three years. The vintage Cuvées take this time to mature and continue to develop their extraordinary aromas. Lanson wines journey through time perfectly. Wine Spectator 91The Lanson Black Label Champagne is an elegant, berry and citrus-infused bubbly, very fresh and lively, with an intensity that carries through to the long, long aftertaste.